The Holy Trinity Cathedral and the Immaculate Conception High School Symphony Orchestra (ICHS SO) are presenting “Expressions of Love”, a family concert and silent auction on Sunday February 20th at 4 pm at the Holy Trinity Cathedral on North Street. Joining the ICHS SO will be the ICHS Glee Club and the Kingston College Choir. The concert will be under the patronage of Most Rev. Donald J. Reece, DD, Archbishop of Kingston. The concert will be celebrating the 100th anniversary of the Holy Trinity Cathedral. Admission is $1000 and all proceeds will go to the Holy Trinity Cathedral and the ICHS SO. Tickets are available at Liguanea Drug and Garden Centre, Liguanea Plaza, Music Mart, Twin Gates Plaza, and Manor Park Pharmacy. 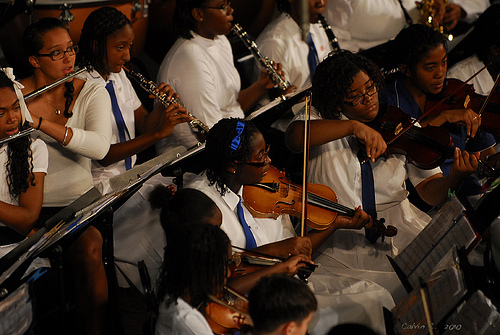 The ICHS orchestra is one of Jamaica’s largest school instrumental ensembles, with over 70 students from all grades. The orchestra performs throughout the year, participating in school related festivities such as The Annual Grand Christmas Gala Concert, the school’s graduation ceremony, in-house performances and social and civic ceremonies. Previous performances include The Annual Christmas Tree Lighting Ceremony, Ceremony for the Prime Minister’s Medal of Appreciation for Service in Education and The Musgrave Medal Awards. They have also participated in the Biennial Classical Music Festival and the Trinity Guildhall College Examinations, receiving high marks in both. In February 2010, the ICHS SO was invited to participate in the Youth2Youth event at the Cayman Arts Festival in Grand Cayman. The organizers and audience alike labelled this event a “humongous success” bringing together not only the ICHS SO but also 25 woodwind and brass students from Cayman and the Cayman Arts Chorus. The ICHS SO also welcomed fellow Caymanian students who joined them for the Christmas Gala Concert 2010 in aid of the Franciscan Ministries. The ICHS SO is under the direction of Steven Woodham, with supporting tutors Allison Wallace, Joseph Campbell, Helen Bromley, Phillip Andrews, Simone Kenny, Alejandro Gonzalez Beltran and Rolando Brown. 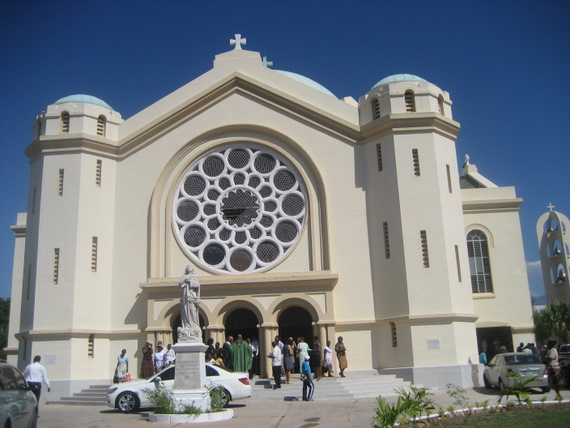 The Holy Trinity Cathedral is an important Jamaican landmark and a unique artistic, historical and architectural monument. The cathedral is currently undergoing an extensive restoration project, part of which involves the stripping away of gray paint from the walls and ceiling to reveal the incredible frescoes which had been covered over for nearly 40 years. The Holy Trinity Cathedral will be celebrating its 100th anniversary this year; it was declared a National Heritage Site by the Jamaican Government in 2000. It was a excitement coming across your site the other day. I came up here today hoping to learn interesting things. And I was not upset. Your ideas for new solutions on this area were enlightening and a fantastic help to us. Thank you for creating time to write out these things and for sharing your ideas.